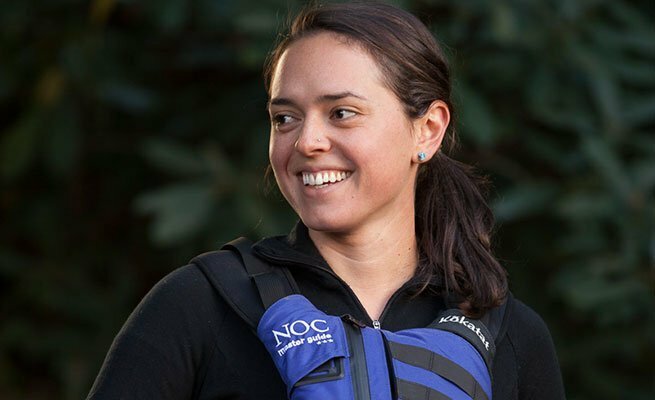 North Carolina native, Kaitlyn spends her summers on the Wild and Scenic Chattooga River as one of their head guides. After getting a B.S. in Biological Anthropology from Appalachian State, Kaitlyn stayed in the area and continued on with her love of whitewater. Kaitlyn also boasts a black belt in Karate and claims that if you close your eyes she can bend a spoon with her mind. Her hobbies include fishing, hiking and kayaking. Her favorite NOC adventure are high-water Chattooga trips.